When you first bought your Chromebook, one of the first things that you would have noticed would have been the absence of Windows applications, including the Office Suite (the suite that has become a very prevalent part of our lives, has a way of making its absence felt). While, people are making use of the CrossOver app to gain access to the many windows applications for their Chromebook tablets and laptops, it is still not available on every Chromebook version. CrossOver works similar to the Wine app on Chrome OS, although it calls for greater hands-on approach when teaching you the ropes for installing Windows applications. Once you start the application, you can easily search for individual Windows software, which will then again take you through the process of installing them. The app will then search for specific installation files and would download them on your system in most of the cases. It’s fairly easy to use. Now let us come back to the issue that CrossOver is not available on every single of the Chromebooks out there in the market. So, if you happen to have a device with no Intel processor/ x86 processor installed in it or are running below the Android 5.0 Lollipop version, you will have to rely on another process to work around your favorite Windows applications. Here’s the process, shared by top app development companies in unison, using which you can access all of your Windows apps on your Chromebook. For getting the access from this process, you won’t need any special emulator. What we are going to learn here is how to remote access your Windows PC or laptop from your Chromebook. There are a number of remote access tool easily available in the market, but the best one out there, considering we have a Chromebook in picture, is Google’s Chrome Remote Desktop. The free app is easily available in Chrome Web Store and is super easy to install and use. To begin, start your Windows PC and then install the Chrome Remote Desktop in it. After installation, you will get to our main setup window where you’ll get two choices: My Computers and Remote Assistance. Click on ‘Get started’ button in the ‘My Computers’ section and click on ‘Enable remote connections’. Next, click on ‘Agree’ for installing Chrome Remote Desktop Host Installer on your PC. Once that’s done, you will have to choose a security pin for the host PC. The pin should be completely numeric with a minimum of six digits. Once it’s done, make sure you leave the Windows PC in active mode. Change the power setting so that it doesn’t go into a standby mode after long duration of inactivity. 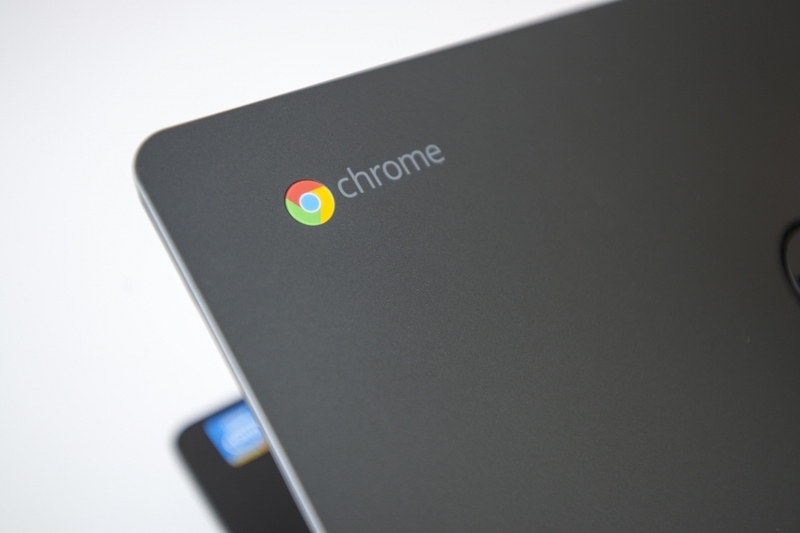 For the process to work, the Chromebook should be signed in same Gmail account as in your PC. Once you have ensured that, move to Chrome Store and click on Launch Chrome Remote Desktop app. Once done, click on ‘Get started’ in your ‘My Computer’ part and you would be able to see your PC enlisted there. Next, select your PC and enter the PIN you had kept (to save time, check the box, which prevents you from entering the PIN every time). Next, press ‘Connect’. And this is it! Now you will see Windows desktop in the Chromebook’s browser. For the best results, expand the browser screen to full size. If you have to go back to Chrome browser, hover over the grey bar on upper-right corner to exit the full-screen mode or to minimize the window. Your internet connections’ speed — both in Chromebook and your Windows PC, would establish how the desktop behaves. If the connection is slow the screen updates would automatically become slow. Because of the differences in your screen resolutions, everything that you view on the Chromebook can look very grainy. In case having a clear image is very important for you, choose Options in the menu bar to disable the ‘Shrink to fit’ option. Although, it will make you scroll your virtual desktop, but you will be able to see a sharper resolution on your Chromebook. With this, you now know everything about connecting your Chromebook with your Windows PC, even when you don’t have the CrossOver app installed on your Chromebook. And even how to get the Windows app on your Chromebook if you do have the CrossOver app.